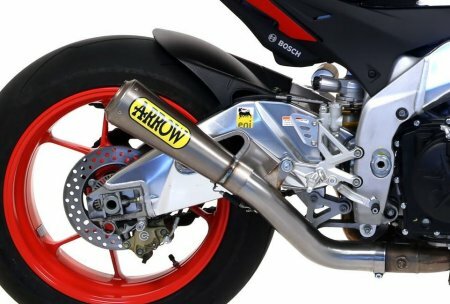 Arrow continues its reputation of legendary quality, sound and performance with their Pro-Race Edition exhaust. 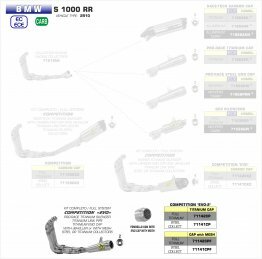 Arrow's conical-shaped design ensures good performance while keeping great tone and weight reduction. 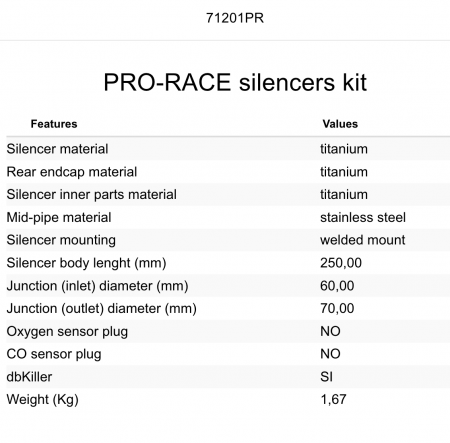 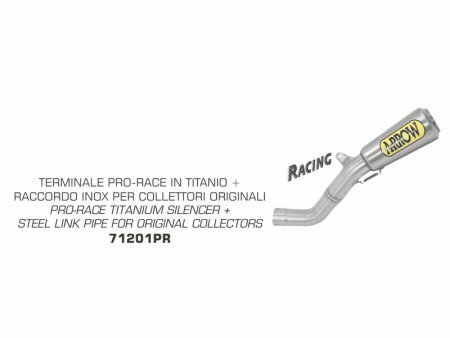 Arrow Pro-Race exhaust is a race derived product made in Italy. Installation instructions and all necessary hardware is included.